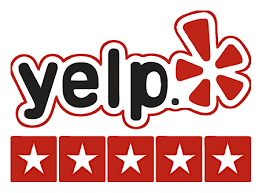 We contacted Rick Smith at Smith and Son for a price quote about a week ago and he was one of a few plumbers we had out to our new home to discuss having a gas line put into our laundry room. After some discussion we decided to hire them to do the work. Rick came out and did this job himself, as his apprentice called out sick. He quoted us a price and stuck to his guns. He was punctual and extremely professional. We were on a very short timeline, as we are moving into our new home this weekend and he was not only able to get the job done in a day, but he also got the inspector to come out and approve the work and got our gas turned BACK ON the same day. He is even coming back to the house Monday to make sure everything is connected correctly for our dryer. In our opinion Rick has gone above and beyond what others might have done. Once Rick got into the job, he realized that the job was more complicated, he let us know but he never wavered on the price we were given and we made that up in the end. I would highly recommend Rick to anyone looking to work with a good company who stands behind what they say they will do. We will certainly be hiring him again when the need arises to help us out with things in our home. You simply could NOT make a better choice for a plumber!!! My kitchen faucet no longer leaks! I WILL call Smith for future plumbing problems. Rick was very friendly and professional. He knew his stuff and got the job done right and quickly. Professional and knowledgeable. Answered all our questions patiently, and completed the job in a timely fashion. We now have a dependable plumbing company –highly recommend Smith and Son Plumbing! Rick was great. I felt comfortable with him in my home. He was willing to price match a portion of the estimate with another company’s estimate which was not a significant difference but it was greatly appreciated. We had a small job but he was able to get us scheduled within a couple days. Rick Smith came out on Sunday and accessed the leak in the front outside faucet. He was back on Monday and replaced it. I felt like he did an outstanding job of meeting the needs of my tenant in a timely manner. Excellent service and workmanship. Called **** for a water leak in the front yard and he made time to fit me into his schedule the same day. He quickly repaired the issue in 100+ degree heat and was extremely reasonable on pricing. Furthermore, he was very pleasant to deal with and took the time to show me the problem and explain his repair. He is now my go to guy for any plumbing needs. I highly recommend this company to anyone needing any type of plumbing repair. Rick moved Gas & Water lines in my attic to clear the area required to install a garage to attic lift. His choice of materials and attention to detail made for a neat & clean re-route. In the future, when I need a plumber, Rick will be my “go to” guy. Smith and Son’s apparently is the company which Lowes in Little Elm uses to install water heaters and other appliances. We purchased the water heater from Lowes. The young man arrived on time, removed old water heater, installed the new, and left the work area nice and clean. We would be more than happy to use their services again. Rick was timely, polite and efficient. Price was reasonable and the work was done quietly and quickly. The garden tub work was tricky but it came out great. Results were perfect and clean before he left. Highly recommended. As a satisfied customer for over a year, we highly recommend Smith & Sons Plumbing. Jobs they’ve done for us include installation of gas water heater, replacement of corroded washer faucets, wax ring replacement on toilet, and complicated valve replacement on bath tub. Most recently they updated and replaced bathroom sink faucets. All jobs were completed in a professional and timely manner, and were reasonably priced. We trust this company and will use them again. We look forward to have the opportunity to have your business.